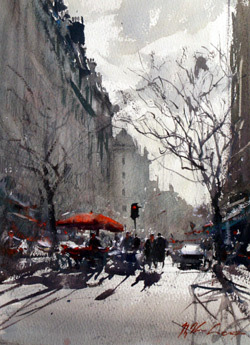 Joseph Zbukvic, a Croatian now living in Australia, is a true master of the watercolour medium with a bold individual style that enables him to ignore detail and concentrate on form and atmosphere. 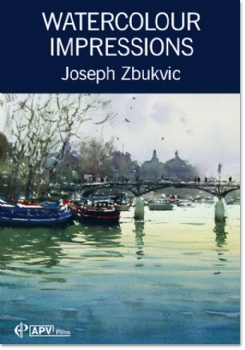 In his latest DVD, Watercolour Impressions, the first painting is a loose, summery impression of sailing boats in Melbourne. 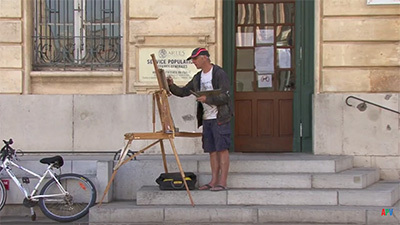 We then travel to Paris where the artist paints several attractive town-centre compositions in situ. The first of these is a lively painting of a bridge over the River Seine and he does full justice to the light playing on the limpid water. There follow delightful impressions of Parisian street scenes and here he makes full use of the sunlight falling on his subjects and the resulting bold shadows. 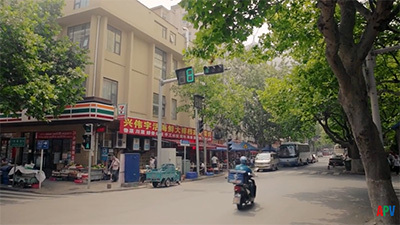 The background buildings are greatly simplified with detail merely suggested, often with dark touches dropped into moist washes. He allows the white of the paper to capture the impression of bright sunlight on the nearer objects, such as stalls, shop canopies, pedestrians and vehicles, which he handles loosely with dark colours to achieve a brilliant impression of light and shade. 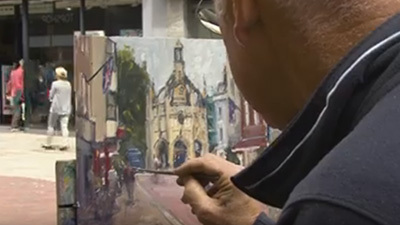 Joseph works at what most less confident painters would regard as breakneck speed, using full liquid washes applied with large brushes, which he holds high up the handles. His confidence and outstanding ability enable him to produce paintings of real quality and beauty. His DVD shows us how he captures the essence of his subject with little apparent effort and he instinctively understands what to emphasise and what to omit. 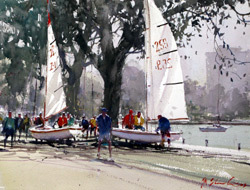 Joseph’s studio is in Melbourne, and from there he takes us first to nearby Albert Park, where he paints a busy scene that includes people and yachts at the water’s edge. He captures the mood of the subject perfectly, working with exactly the right combination of technique, definition and suggestion, showing how to stay focused when attempting such a complex, ever-changing subject. 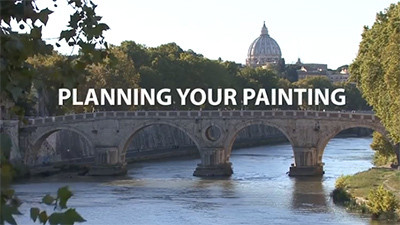 Then, he swaps the sun of Melbourne for the dull, wintry light of Paris, where he paints street scenes and a wonderfully atmospheric view of the river Seine. 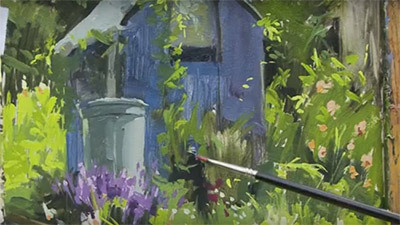 Finally, back in the studio, he shows how to work from a location painting to create a larger, more resolved version, while keeping the same sense of immediacy and expression that is possible when painting on site. Very good DVD. 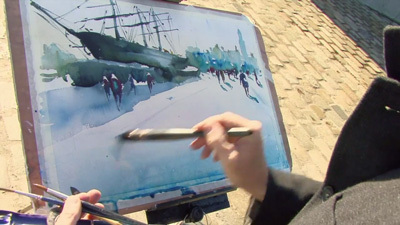 It is more of a demonstration in watercolour rather than being instructional.If you watch Joseph's techniqes though you will learn how to turn some pretty gray scenes into dramatic scenes with beautiful use of tone and light. Beautiful DVD!!! Joseph's choice of subjects and composition are wonderfully varied and his application of color and brushstrokes his control of the "running" water are great! Well worth the money spent. 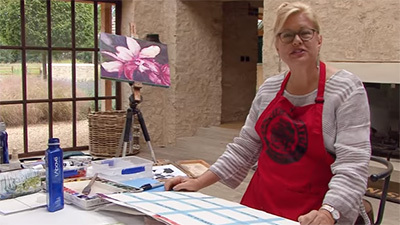 I'm very pleased and happy with the subjects in this dvd.It is so inspiring it has helped me to enjoy my painting so much more.Thanks Joseph for sharing your incredible talent.Chris Bellew.